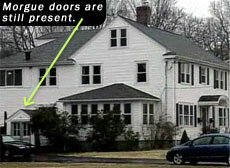 There are two orbs (one left to window and one above the arch) possibly three(far left just coming into the pic). I believe that my niece was not without her guardian angels...Grandma and Grandpa Watson. They are watching over and making sure things are going as planned. This is during rehearsal for my niece, Alley's wedding. This is a picture that I took a few years back that for some reason seems so sad to me. I took it in front of the Alamo. It is a plaque(on the ground with a light) that talks about the ones we lost at the Alamo. Is this THEIR guardian angel? So, I wanted to talk just a little bit about guardian angels. First, I want to say that I believe in them! So many times, people confuse ghost as "evil" or "bad" spirits and that's not always the case. I hate that the perception is that. I hear it so many times..."it's a ghost....it's going to hurt us!!!" Ok. I am going to try not to sound to "preachy" here...but so many things are changing in my life right now and I feel I have to express my opinion on the idea of ghost are always "bad". Anyway back to my story. I have been doing the paranormal stuff for over 30 years and have NEVER lost interest in it. For whatever reason, all of the sudden people are starting to take notice of my work. 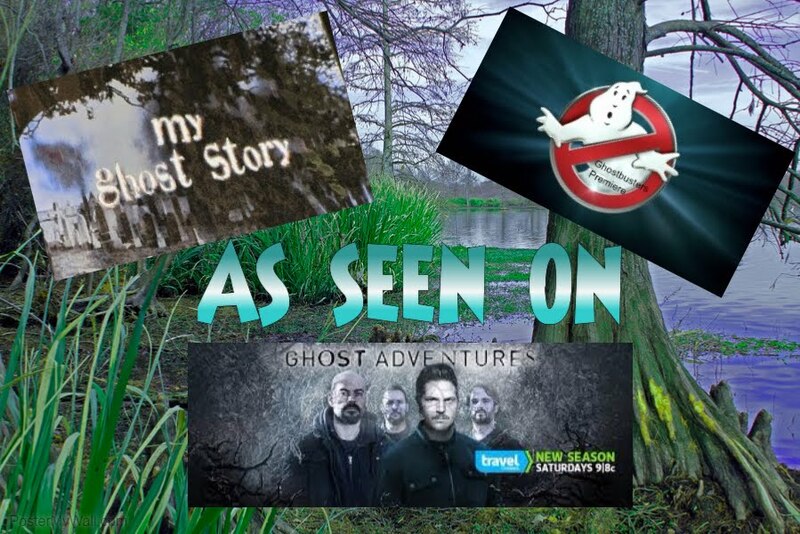 I am writing a book, blogging, been in the papers and magazine's, have a paranormal group and now working on a TV show. These are ALL like dreams come true for me. I can not help but feel that MY GUARDIAN ANGEL, NAN (that is what I called my grandfather) knows just whats going on and why. I feel like if Nan hadn't passed so suddenly, that I would have never gotten interested in this field and the paranormal has got me...hook, line and sinker! lol I think there is a reason that all this is happening. And for me, I feel like it is a plan...that will keep me and my grandfather connected FOREVER! I totally think he has had a hand in all the wonderful things going on for me right now and he knew how much it would mean to me and at times when I could have lost faith in what was going in my life, the paranormal was my distraction that helped me pick myself up and move forward. So, what I really want you guys to take away from my story is...your LOVED ONES are ALWAYS with you and whether you know it or not, they are watching over you and making sure YOU complete your journey. And if we are LUCKY enough, we may sometimes get to SEE or HEAR from them. Ghosts are not always bad(although they can be) so next time you hear someone say that "ghosts are evil or bad" do me a favor and ask them to remember that one time, they were living just like you and I. They may be YOUR GUARDIAN ANGEL! Also, just let me though in this quick note about that....if you were a "good person" here on earth you will be a good person in the spirit world...and if you were a "bad person" you don't get to die and suddenly become "good". It just doesn't work that way! So treat everyone you come into contact with (living or dead) with respect and kindness. That is why we may have some spirits that seem.......lets just say "CRANKY". They weren't nice while they were living so they are not nice in the afterlife. Just food for thought.